If you’re heading to Gauteng, or live in the area, don’t forget to pop into the province’s most popular gaming and entertainment complex, MonteCasino. 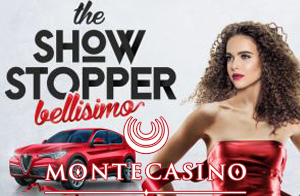 The casino is running a fantastic Showstopper promotion from now until March 29th, 2019 and up for grabs are an Alfa Romeo Stelvio car and R1.7 million in cash! The promotion is exclusive to Black Rewards Cardholders and all you need to do is play slots or table games at the casino to be in line to win. The Showstopper incorporates two Friday Cash Draws, where R300,000 in cash can be won in each draw. The draw dates are Friday, January 25th and Friday, February 22nd, 2019, and they will take place on the main casino floor at 8 pm. 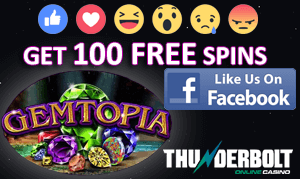 You will receive one entry into a draw with every 10,000 points that you earn. Points for the first draw need to be earned before the date, while points for the second draw must be earned from January 26th until February 22nd. To take part, you can register at any eHost at the casino from 8 am on the draw. The first prize in each draw is R150,000, while the second placed winner will win R100,000. Third prize is R50,000. On March 29th, 2019, another draw will take place on the main floor at MonteCasino. In this draw, the first prize is a stunning Alfa Romeo Stelvia, while another R300,000 will also be given away. To enter this draw, you will receive one entry for every 20,000 points earned. Points earning runs from now until the day of the draw. You need to register with an eHost from 8 am on the day of the draw. The promotion is open to all players over the age of 18. There is no limit to the number of draw entries you can earn. Players can only win once per draw. Players must activate their entry into the draw on the day of the draw. Click here to check out other Casino resorts in South Africa.